The ancient city of Salisbury and its cathedral date from the 13th century. The cathedral was built between 1220 and 1260 and is the only English cathedral built in one style. It is the finest example of early English architecture, and one of the greatest medieval buildings in the country. The 404 foot spire is the highest in Great Britain. The city itself is a happy mix of brick, stone and timber framed buildings dating from medieval and victorian times. 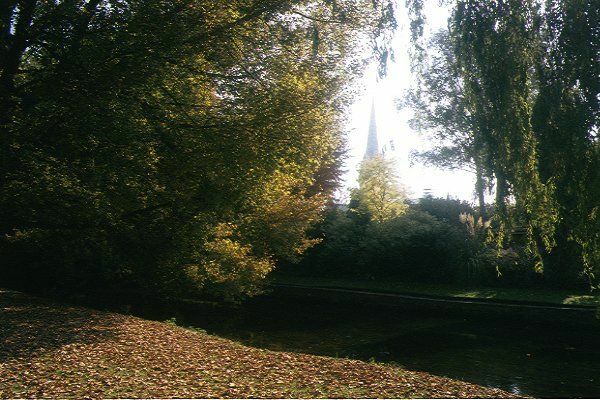 The River Avon runs very close to the city and walks along the river meadows gives superb views of the cathedral. VIEW: More images from the category Salisbury, Wiltshire .